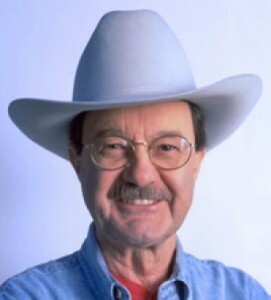 Between his radio show, his monthly newsletter, his columns and his books – including his latest, Let’s Stop Beating Around the Bush – Jim Hightower has spent most of the past decade speaking out against abuses of power in Washington. With a mix of outrage and humor, he travels the country to spread his message of “progressive populism,” including a stop in Boston earlier this week to speak at forums outside the Democratic National Convention. Hightower talked with MotherJones.com about his impressions of the convention, the importance of getting George Bush out of the White House, and the work progressives must do to influence policy after the election. MotherJones.com: What was the mood at the events you were at in Boston? Jim Hightower: Basically, a wild enthusiasm for a regime change and the ABB program – Anybody But Bush. There’s a willingness to lift up John Kerry and use him as the battering ram to get that done. Nobody’s fooled that Kerry himself is going to be any kind of a wild progressive. But a commitment to keep building beyond the campaign, that to me is the most important thing. There’s just tremendous energy out there with the organizing, enthusiasm and training taking place. Thousands of people are going to be out on the streets for this election. But in just about every case, they understand that there’s no honeymoon. After we get rid of Bush, we have to stay right in the face of the Kerry/Edwards administration and just keep pushing. MJ.com: Most of the speakers at the convention have gone fairly easy on Bush. Has that been an effective strategy? JH: I don’t really know. At first, I didn’t think it was that smart of a thing. But at the same time, I think the speeches have largely been good. And it has set a tone that I think maybe a lot of people who might be tuning in for the first time could feel comfortable about. This is not going to do for the long haul, of course. We are going to have to not beat around the Bush, but just be all over them. Not in terms of them personally, but in terms of their policies, which are absolutely nutty. The American people do not support the extremist agenda the Bushites are putting forward. MJ.com: That said, the polls show a very close election. How do you think Bush is still able to maintain support? So the key to all of this is what Kerry’s going to do. I think it’s out of Bush’s hands. I don’t think the economy is going to straighten up for him in a fundamental sense. I know he’s talking about jobs he’s created, but the real issue is wages. And wages now are not keeping up with inflation – in terms of buying power, they’re beneath what they were when Richard Nixon was president. The wages of the new jobs Bush has created are about $9,000 less on average than the jobs he’s lost. So this is the demise of the middle class. People know that, because they’ve got to try to balance the checkbook at the end of the month. So there’s no fooling people about that. And of course, the other thing is the war, which I don’t think is going to get better for him. So the real issue is what Kerry’s going to do. Is he going to be strong on an economic program that makes ordinary folks believe this guy really is going to be on their side? And will he do something significant about health care for everybody, stopping the loss of middle class, and making sure everyone has access to college education? MJ.com: What can progressives do to make sure Kerry takes those steps if he wins? JH: We have to be an organized force that offers no honeymoon whatsoever. We all cheer at the inauguration – then we should immediately begin to monitor, make demands and be ready to criticize from the very start. Just as the corporate interests are going to be pressuring from their outside lobbyists and from their inside staffers, we are going to have to be on the move. That’s everything from in the streets when it’s necessary – in the case, say, of war issues and free trade scams that exclude workers and the environment – to just the constant actions of groups like MoveOn.org and True Majority. The good news is there’s a strong effort out there – the best I’ve ever seen – to do exactly that by some of the labor unions, by the Public Interest Research Groups and MoveOn, Howard Dean’s Democracy for America, and other groups. So I have some hope. I don’t think we’re going to do the same thing we did in ’93 when Clinton beat Daddy Bush. Progressives pretty much cranked back in the La-Z-Boy and began to do 12-ounce elbow bends, saying “Bill’s in there, now he’ll take care of it for us.” I think we learned a lesson there. And we also learned a lesson that it’s not enough to have watchdog groups in Washington – we have to have real grassroots organizing that can bring a constituent force to bear when they disappoint us. MJ.com: If Kerry gets elected, to what extent can he roll back the policies Bush has enacted over the past four years? JH: I think quite a bit. I don’t know all the rules, but it’s apparent that the Bushites didn’t worry about the rules. They were able to roll back not only Clinton, but FDR. So I think there’s a lot of power there. Besides Kerry, the other question is what Congress is going to be. Is Tom DeLay still going to be the boss of the Congress? If so, it’s going to be a lot tougher. What are the courts going to do? Bush has messed those up pretty severely as did the people before him – unfortunately including Clinton, who didn’t put good, strong people in enough places. Again though, I say this is the beginning. Our goal is not Kerry. Our goal is to take our country back, and that’s going to require a long-term effort. We’re going to have to be organized and energized to make Kerry and Edwards as progressive as they possibly can be. But then we have to keep building, because they’re not the solution – they’re just a step along the path. MJ.com: Looking back at the Democratic primary, how do Kerry and Edwards compare to the other possibilities? JH: They’re certainly a leap beyond Lieberman, but who wouldn’t be? Kerry is nowhere near Howard Dean, Dennis Kucinich and others in terms of their approach to the issues, their grasp of the workaday Americans, the real people out there. The positive thing I can say about Kerry is that in the primaries, he showed that he was available to progressive constituencies. Dean, Kucinich and even Sharpton, they drove the debate and Kerry had to adjust to that. But equally important was that Kerry seemed to learn and adjust his position based on realities that he hadn’t known about before. Take something like corporate globalization. For Kerry in the Senate before, this was an after-dinner, chit-chat conversation topic. It wasn’t about anybody he knew, much less him or his family. So when he first went to Iowa and New Hampshire, somebody would ask Kerry about globalization, NAFTA, WTO, FTAA. He’d start out with his usual pontifical, “the great free-trade tradition of liberal politics in America.” And somebody would interrupt and say, “You don’t understand. I’m going to lose my farm.” It really kind of stunned him, and he backed up from it and realized what he was saying was basically horseshit. He needed to have an answer grounded in some reality. So he changed his position, at least to the extent that he’s now saying any global deal has got to have labor protections, environmental protections and farm protections in the core agreement. He hasn’t gone far enough, like saying we need to renegotiate the deals that we’re already in to make sure those things are in there. But nonetheless, he’s shown that he can learn. The Bushites call that flip-flopping, but to me it’s the mark of an actual leader who has some ability to absorb new experiences and realities and adjust his position accordingly. MJ.com: Why shouldn’t progressives who—like you—supported Ralph Nader or another third-party candidate four years ago, not do the same this time? JH: It’s a very different election. Too often the pundits and political consultants make the mistake of making this about the last election, when in fact this is a whole different time. I don’t think that even Nader would have thought that Bush, Cheney, Rumsfeld, Ashcroft and the gang would have been the extremist, arrogant ideologues that they have become. It’s one thing to have that extremism and ideological fervor. But it’s another thing when you have no mandate whatsoever. They’d actually lost the election – much less gotten a mandate – yet they went full-tilt-buggy for everything as though they had some sweeping popular support behind them. So these people are not only nuts, as I explain in the book – they’re dangerous. And they have got to be taken out. Our very first job now is to get rid of the Bushites, but also to recognize that having done that is not itself a progressive victory. That’s not an advance for the progressive cause. It just brings us back to ground level, where we desperately need to be. MJ.com: This grassroots model that Howard Dean and others have put together, how will that change the role of progressives in Democratic politics? JH: I think it already has. The media’s mostly focused on the money raising, but the real power is for people to have the meet-up sessions around specific issues and to coordinate mass grassroots activity in a flash, in a way that ten years ago would not have been possible. The comparison I think of is back to the days of the Populists in the 1870s and 1880s. They had a speakers bureau with 40,000 members in it – trained national, state and local speakers. On any given night, 40,000 people could be out giving the speech. They had to create their own media network – they did create their own newspapers, magazines and those things – but their very effective tool for what amounted to instant response in those days was this speakers bureau. Now we basically have a high-tech version of it. MJ.com: Having lived in Austin and watched Bush in action as governor, did you have an inkling that Bush the president would turn out the way he has. JH: I got inklings. We certainly knew it was in him. When the media first started coming to Texas in ’99 to see who this guy was – back when he was surging forward as the frontrunner for the Republican nomination – people like Molly Ivins and myself would be called up by traveling media-types. Initially, they were all looking for girlfriends that he might have had or for dope – that sort of stuff. We’d say that’s all well and good, but follow the money and look at what this guy does. We were pointing out Kenneth Lay at Enron, who was Bush’s chief contributor as governor, and who had in essence written the energy deregulation bill that Bush put through in Texas. Then there were his enormous favors for the electric utilities, his assaults on the Clean Air Act – that’s exactly what he has taken to Washington after he did it in Texas. He put in this grandfather clause to protect the utilities and allow them to expand their pollution without having to put in new anti-pollution equipment. Another good example is the “free-speech zones” anytime there’s a mass meeting like the Free Trade Area of the Americas or the political conventions. Bush was really the pioneer of this as governor. For example, there was a protest in Austin outside the governor’s mansion, and these protesters were assailing him for his environmental policies, his being a lapdog for the polluters. This, of course, was not the image he wanted the media to get, so he simply detailed out the state police to remove the protesters to a parking lot that was completely out of sight and hearing distance of the media and the politicos. And he has perfected that as president. Now, everywhere he goes, the Secret Service will arrest people who are simply wearing an anti-Bush t-shirt, even if it’s at a public meeting in a public park. This is a real abomination. American is a free-speech zone. That’s what the founders had in mind – not these protest pens. MJ.com: What happens if Bush wins in November? What can progressives do with another four years? JH: Revolt. It’s going to take that. Another four years is going to be extremism on Viagra, because they’ll recognize this is their final four years and will just go for it all. They’ve hardly been hesitant without having even won the election, so if they can grab this one… They are zealots who are attempting to impose their Orwellian, Strangelove-ian, Ayn Rand-ian, Jerry Falwell-ian ideology over our democratic principles and egalitarian aspirations. That’s why it’s so essential to defeat them. Not only are they nuts; they’re dangerous. And we have to take them out. If we don’t, then we spend another four years fighting all these negative rear-guard battles that don’t advance our cause at all.